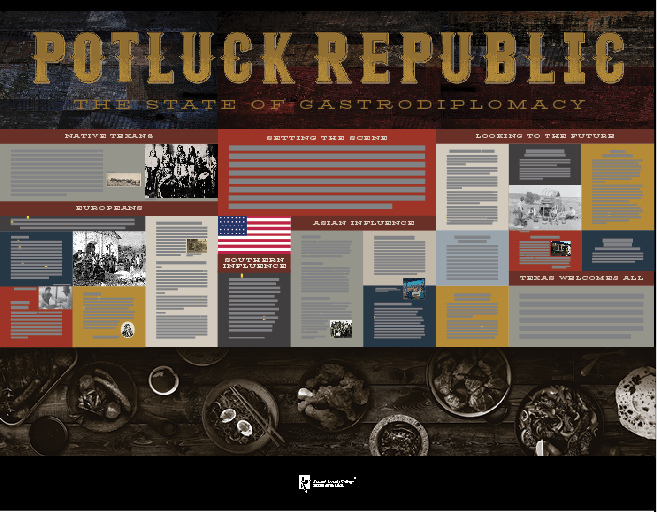 Experience the diversity of myriad cultures that influenced Texas cuisine at the debut of the exhibit, “Potluck Republic: The State of Gastrodiplomacy” on Thursday, Oct. 18, at 11 a.m. in the North Ballroom at Tarrant County College Southeast Campus, 2100 Southeast Parkway. 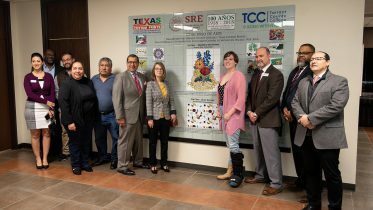 The traveling exhibit will open for display during the TCC Southeast Diversity Awareness Expo and later be relocated to the TCC Southeast Judith J. Carrier Library for viewing in November and December. In addition to exhibits, the Expo will celebrate diversity with demonstrations, performances, panels and presentations by students, faculty and staff. “Designed to educate students and the community about the history of local food from the original inhabitants of the area to current times, the Potluck Republic exhibit focus was created by representatives from multiple Southeast departments to highlight when different cultures populated the area and how the foods and ingredients they brought changed and enriched the state’s cuisine,” said Sally Jinks, Southeast graphics manager and one of the exhibit creators. The exhibit is a visual example of TCC’s goal to serve the community and provides opportunities to enhance the student experience that includes engaging high school students. Allen Powell, assistant professor of hospitality management, also involved in the exhibit’s development, will share the exhibit and supporting materials with various schools and other interested audiences to introduce students to TCC’s Culinary Arts and Hospitality Management programs. The Bureau of Labor Statistics forecasts a 6 to 10 percent faster-than-average growth in the job market for chefs and head cooks. 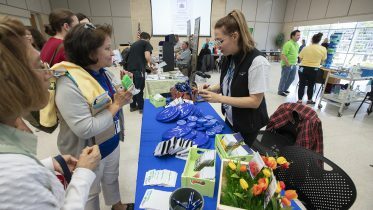 Additionally, the Bureau reported more than 16,000 hospitality management jobs were created in the Dallas-Fort Worth area since August 2017. Currently 205 students are enrolled at TCC Southeast in the Culinary Arts Program and nearly 100 more students are enrolled in Hospitality Management. Powell said his interest in food history began after learning that the first food trucks date back to the mid-1800s on cattle trails, such as the Chisolm Trail, that traveled through the Fort Worth area. 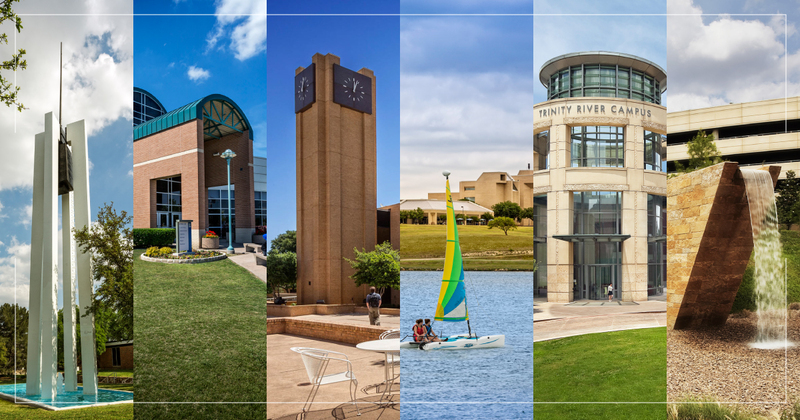 “After I arrived at TCC, I spent some time researching ‘what is Tarrant County food’ and found our food and cities are ‘a melting pot’ of unique and different foods,” Powell said. 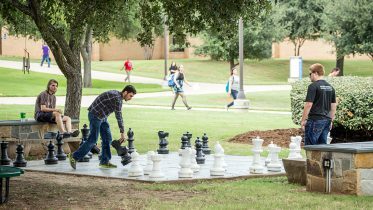 TCC continues to reflect diversity with a student enrollment in spring 2018 of more than 500 international students, representing 71 countries. The exhibit includes an 8’ x 10’ double-sided wall focusing on the written history from the state’s “vibrant past, noteworthy present and fresh future” coupled with a full-sized dining table displaying appropriate dinnerware of special ethnic and/or historic periods. A student-produced PowerPoint presentation about sociology students’ favorite foods from their cultures will play in conjunction with the exhibit. A four-panel brochure with a condensed version of the exhibit text and recipes of various cultural dishes will be available for exhibit visitors. More information about the Diversity Expo is available from Student Development Associate Frankie Ward at frankie.ward@tccd.edu or 817-515-3124. To book the Potluck Republic exhibit, contact TCC Southeast Librarian Jo Klemm at jotisa.klemm@tccd.edu or 817-515-3083.